Nana Patole said that he had raised these issues in the Lok Sabha as well as in meetings with the Prime Minister Modi. NAGPUR: Nana Patole, who resigned yesterday from the Lok Sabha and the BJP, today accused Prime Minister Narendra Modi of using his OBC credentials for political gains. Patole, a critic of the central and state governments' handling of agrarian issues, had resigned alleging that the BJP had failed to keep the promises it had made to the people. Speaking at a press conference here, he accused the prime minister of "double standards" and alleged that Modi was using his other backward classes (OBC) credentials for electoral and political gains, but had done nothing for the benefit of OBCs and farmers. "Day before yesterday, the prime minister reacting to Congress leader Manishankar Aiyar's comment had said in an election rally that he was being hounded as he came from a 'neechi jaati'. This really made me furious at the double standards of PM Narendra Modi," said Patole, who was elected to the Lok Sabha from Maharastra's Bhandara-Gondia constituency. "In a meeting at the PM's residence last year, I had raised the problems being faced by OBCs and demanded a separate ministry for OBCs. However, PM Modi shouted at me and questioned its need, saying OBCs don't need it," Patole claimed. Now, the prime minister is asking for votes on his OBC credentials, he said. Patole alleged that the PM also got angry on him in the meeting after he raised farmers' issues and sought a greater contribution from the union government for the agricultural sector. "The assurances made by Prime Minister Narendra Modi is not being fullfilled by the Centre and the state government," he said. Patole said that he had raised these issues in the Lok Sabha as well as in meetings with the prime minister. "The government is not bothered on the farmers' issue. PM Modi is deceiving the people of this country," he said. He said that he would be touring Ahmedabad on Monday and will highlight the "double standards" of Modi. 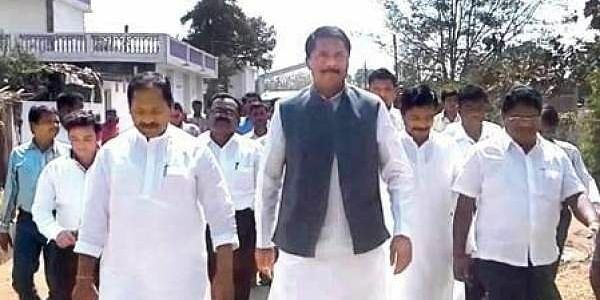 "I will visit my constituency Bhandara-Gondia on December 15-16 followed by visits to Gadchiroli and Chandrapur," Patole said. Replying to a query on whether he intended to join the Congress, he said that he had not yet decided on joining any party.